A semi- fluid exible arch support for low profile stability. 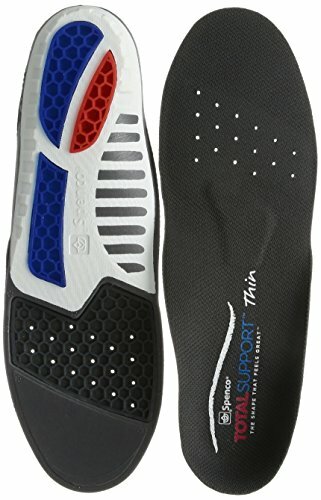 Recommended for athletes looking for semi- fluid exible support who participate in a variety of physical a countivities using minimalist or low volume shoes. For consumers seeking fluid exible support and motion control. For incur eased shock support and advanced support for the arch and heel. Can improve motion control to reduce over-pronation and supination the leading cause of many common injuries such as plantar fasciitis. Unconditionally guaranteed for one full year. NOTE: An instruction sheet is not included with this product. Directions: "Inside Fabric side Up. Trim if necessary. Hand wash, air dry."